Shell-on Atlantic Prawns, Mussels, Cockles, Clams, Crab Claws, Whelks Served with Squid Ink Crackers and House Condiments. Mussels, Crab Claws, Clams, Jersey Oysters, Tiger Prawns, Shell-on Atlantic Prawns, Scallop Ceviche, Octopus Carpaccio Served with Squid Ink Crackers and House condiments. Scottish Langoustines, Crab Claws, 1/2 Devonshire Lobster, Scallop Ceviche, Jersey Oysters, Crevettes, Steamed Razor Clams, Cockles, Mussels, Clams, Whelks, Shell-on Atlantic Prawns Served with Squid Ink and House Condiments. Devonshire Scallops, Charred Corn, Mushroom Stock and Luscious Trufe Oil. Salmon Dressed with Freshly Squeezed Lemon Juice on the Bed of Smashed Avocado. Thinly Sliced Bass with Olive Oil and Lemon Marinade Served with Mango Puree and Burnt Clementine. King Crab Meat Served on Fish Skin Crackers. Freshly Made to Order with Smoked Avocado, Green Tomatoes, Coriander, Chillies, Lime. Sweet White Claw Meat Coated in a Crisp Tempura Batter, Served with Saffron Aioli. With Heirloom Tomatoes and Basil Dressing. Delicious, Rich and Creamy Bisque Made with Fresh Cracked Red King Crab Meat. Luscious Modern Twist on the Classic Prawn Cocktail Recipe. Cooked Lobster Tails, Langoustines, Atlantic Prawns and Picked Crab Meat Dressed with Homemade Sauce. With a Tamarind Glaze, Honey and Asian spices. Garnished with Celeriac Puree and Smoked Pancetta. Coated in Herb and Garlic Butter. 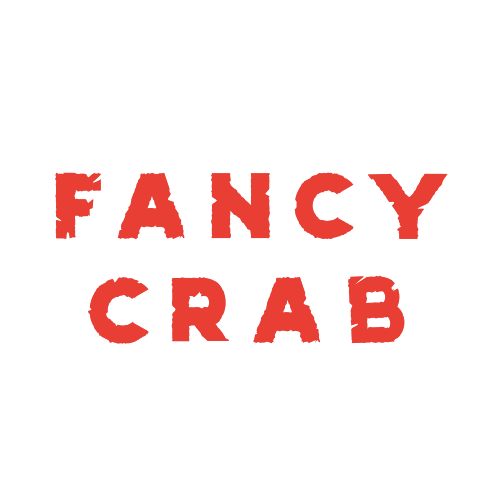 Succulent King Crab Meat with Belkovich Sauce served in a Buttery Brioche Bun. Home-made Beef Patty with Smoked Pancetta. Perfect Flavour Combination of Portobello Mushrooms, Sweetness Coming from Caramelised Onions and Tangy Taste of Blue Cheese. Delicious, Sweet and Spicy Dish. King Crab Meat Cooked with Chilli, Garlic, Lime and Spring Onions. Selection of Fish in a Rich Creamy Sauce Topped with Buttery Mash Potatoes. Sweet Delicate Crab Meat with Bechamel Sauce and Cheese Crust. Homemade Ink Squid Pasta with Indulgent Creamy Lobster Bisque Sauce. Mussels in a White Wine Sauce. Half Chicken Baked with Rosemary and Garlic Served with Chicken Jus. Prime British Steak Grilled over Charcoal Served with Chef's Secret Sauce.